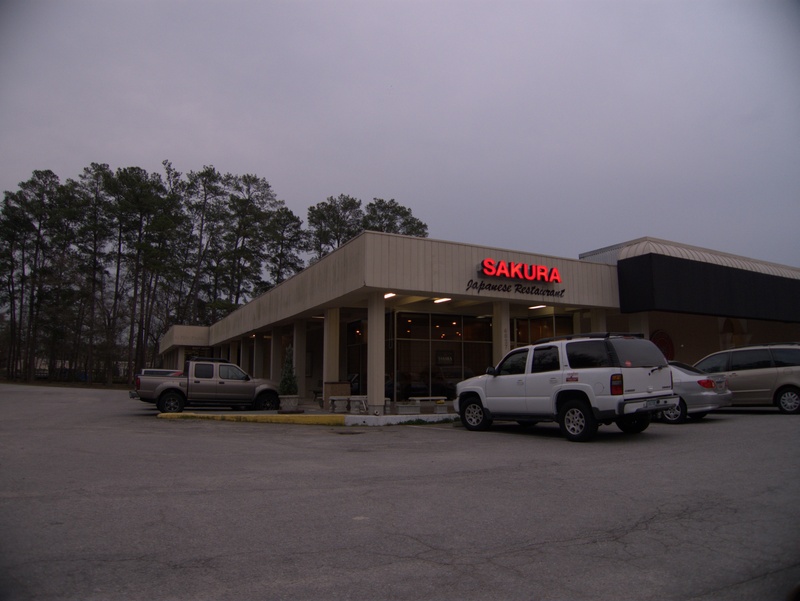 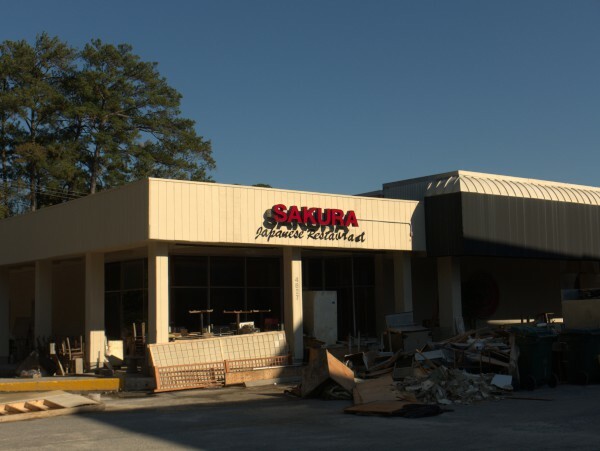 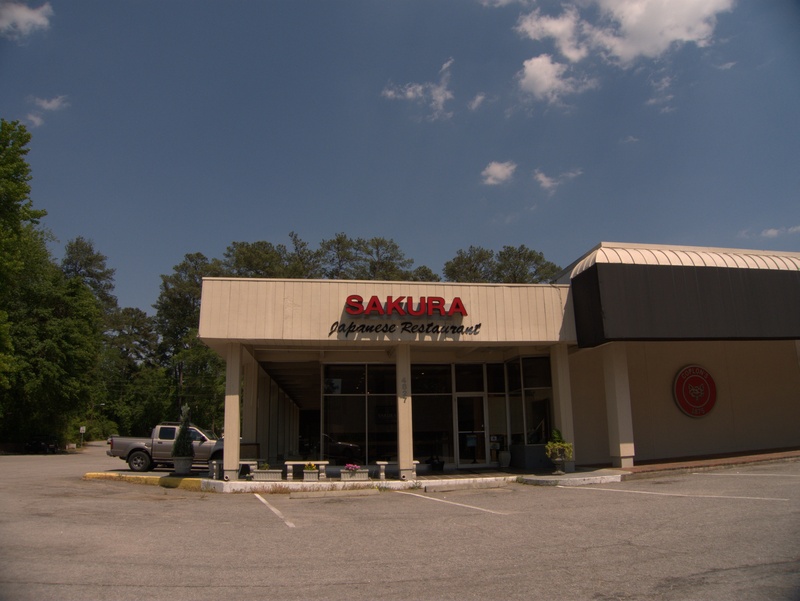 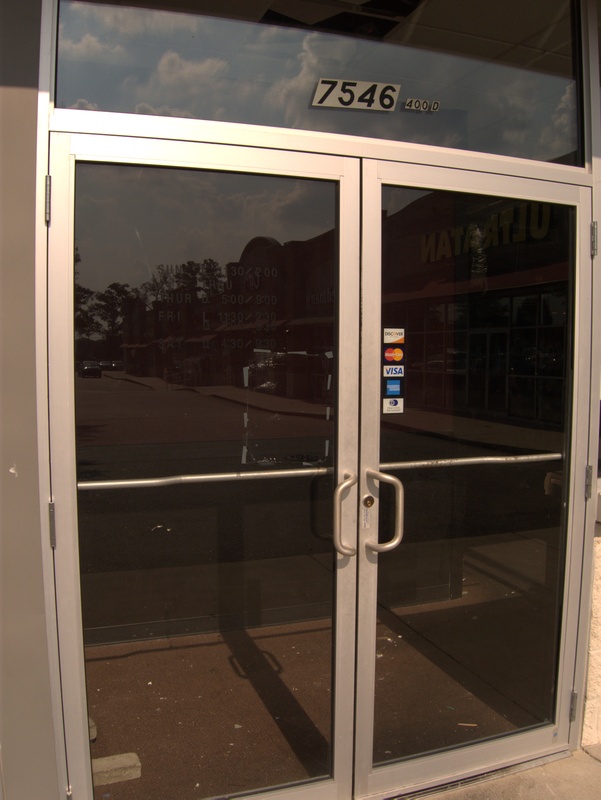 Apparently I never got around to doing a formal closing, though I did mention it in one of the flood posts, but Sakura Japanese Restaurant has been closed since they lost their storefront behind Coplon's to the great flood of October 2015. 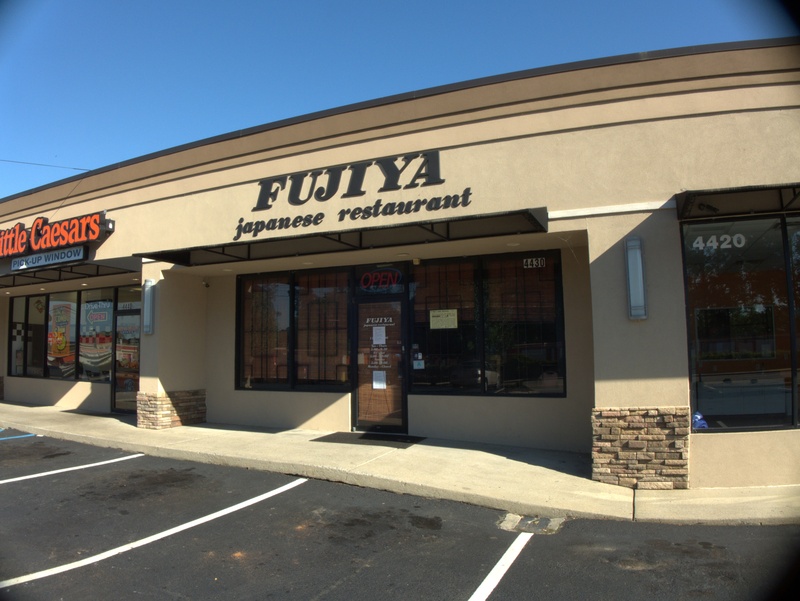 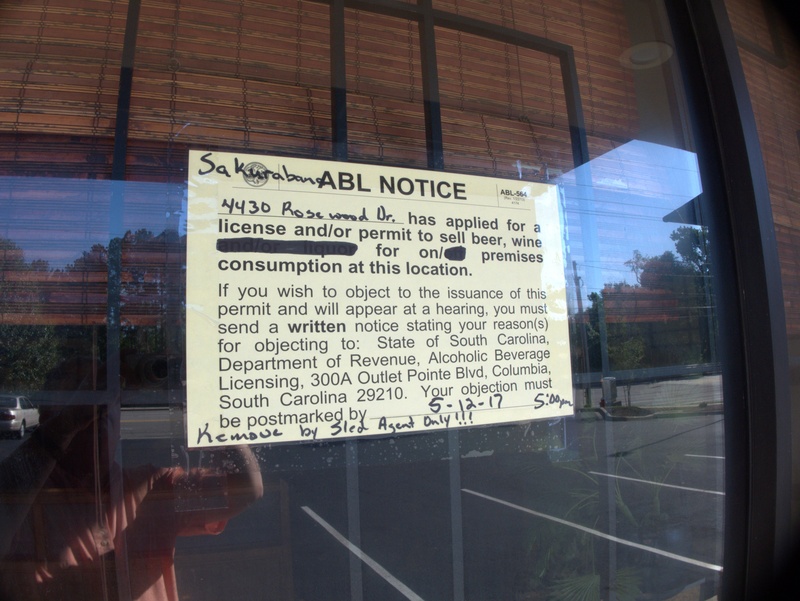 Now it seems that they will be making a comeback in the former location of Fujiya Japanese Restaurant at the foot of Rosewood Drive. 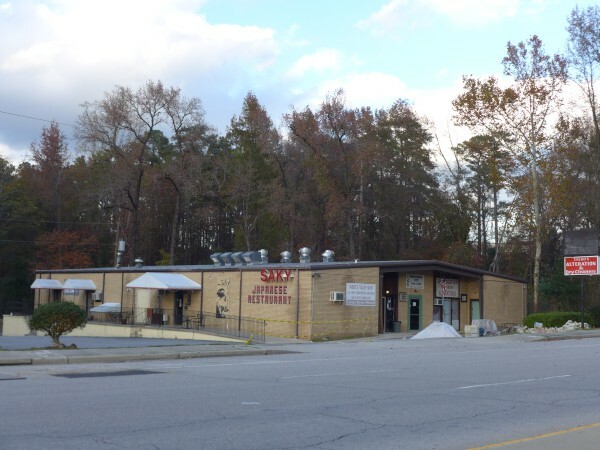 The State has the story here. 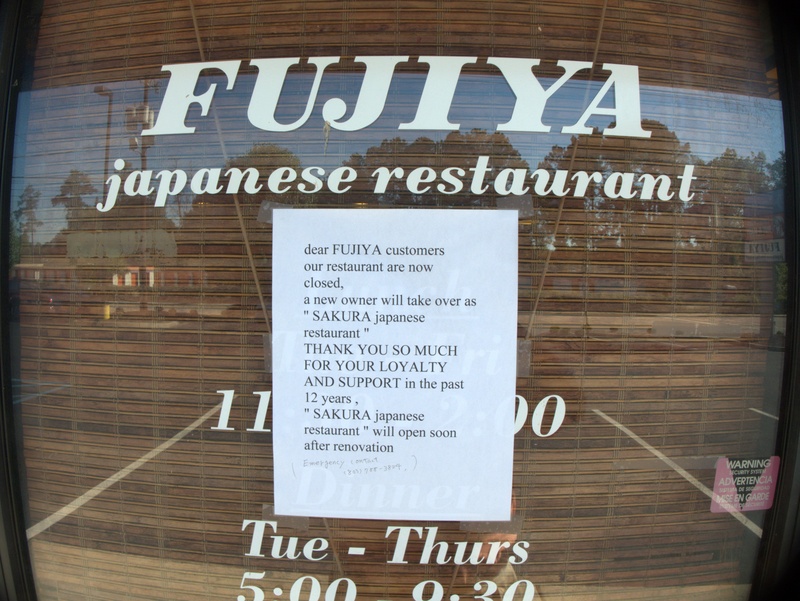 Here's another Great Flood of 2015 casualty. 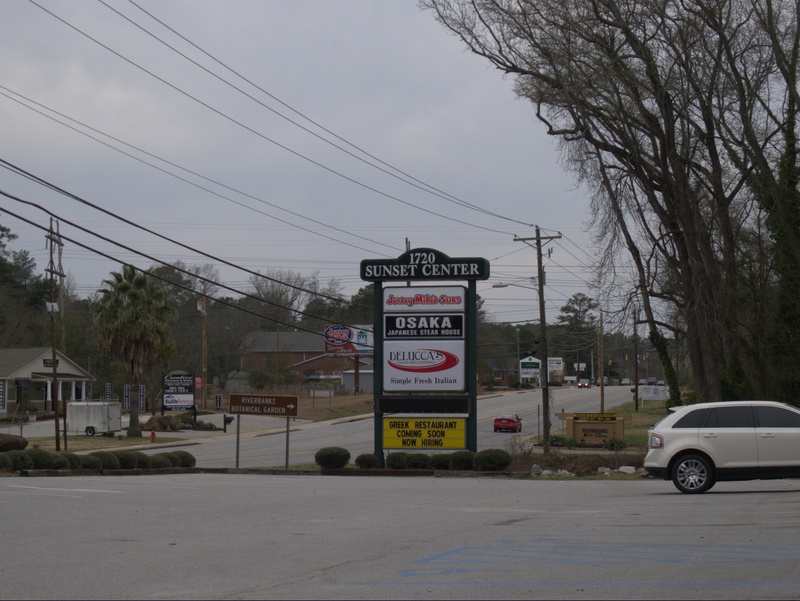 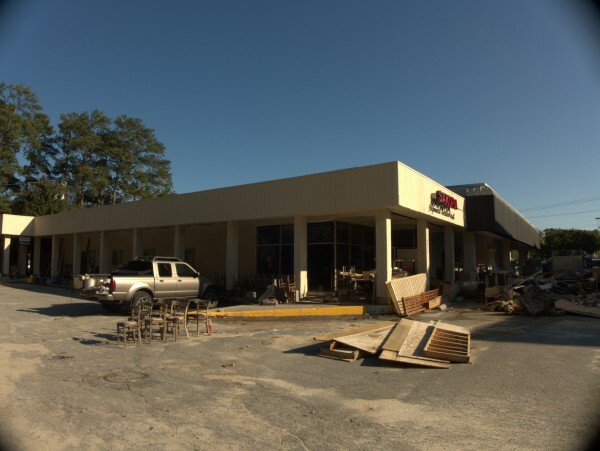 “Who expected all this rain and the flood?” Sun Suk said as repairs continue on the eatery on Fort Jackson Boulevard at I-77. 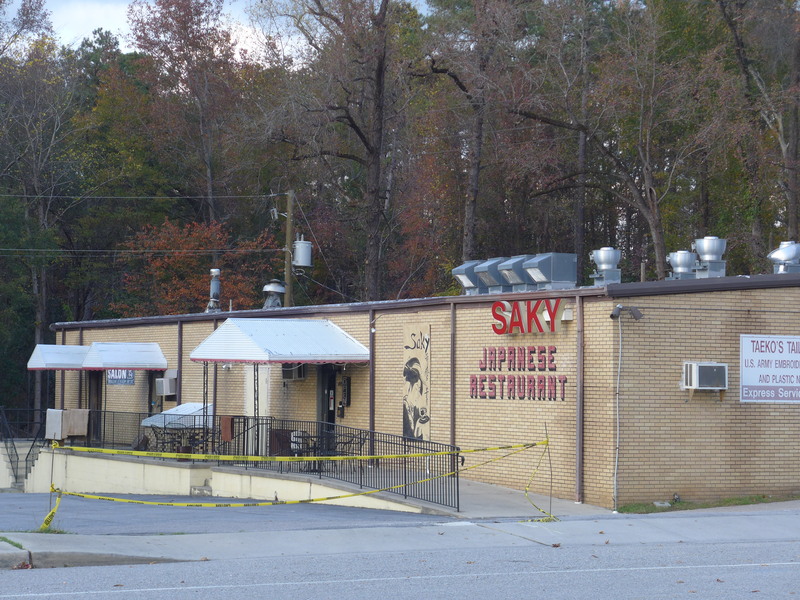 The 7,500-square-foot structure housing Saky was damaged by the same flash flood Oct. 4 that inundated homes in the King’s Grant neighborhood. Saky bore the brunt of the flood on its side of the road. Two feet of water came inside and a tree fell on part of the restaurant after the bank of a nearby creek eroded in the rush of water. 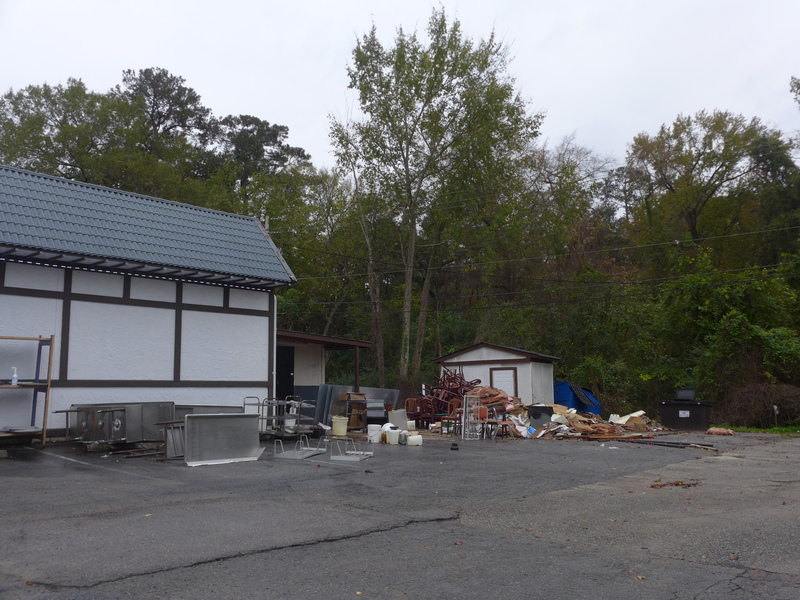 The first picture is from some years ago, the others from after the flood, though I could not get too close. 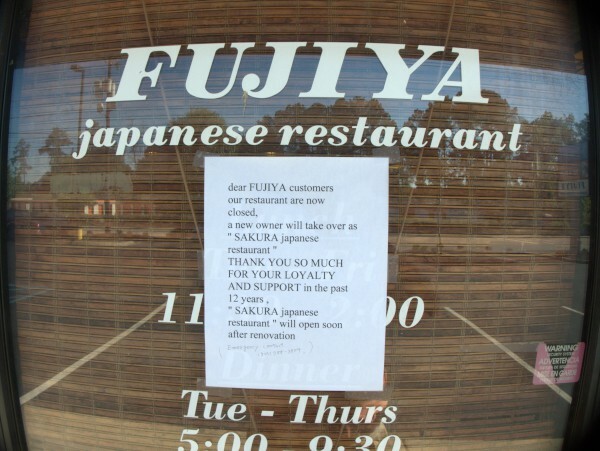 Hopefully they will be back soon. 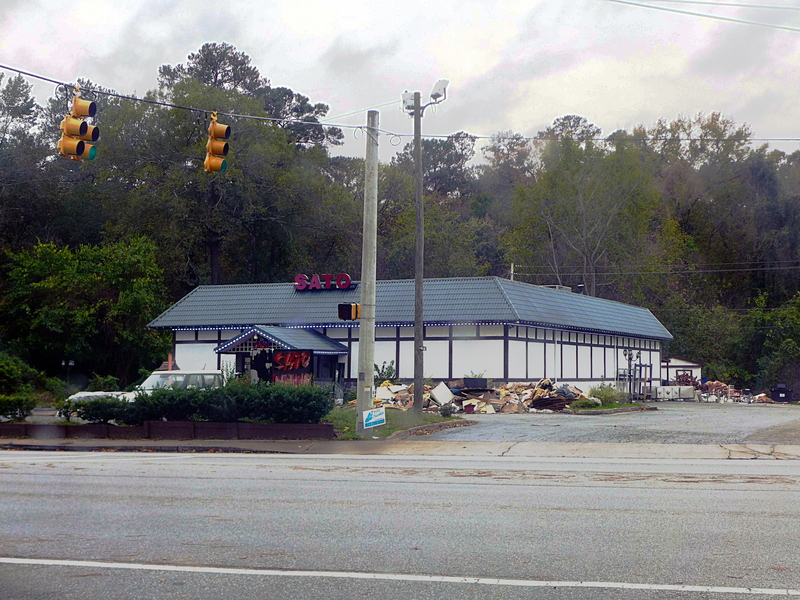 I had not noticed until recently that Sato on Beltline took major flood damage and is closed for repair. 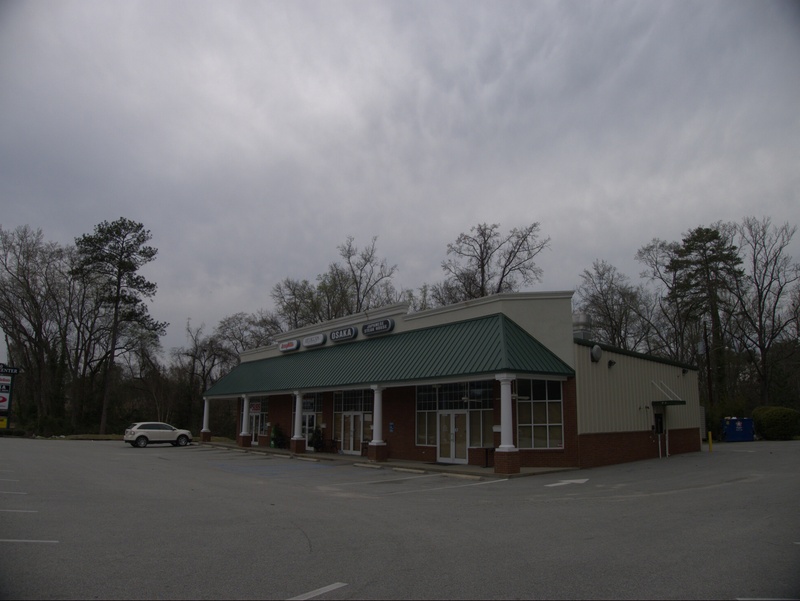 In retrospect it makes sense as the restaurant is located at the low point of Beltline as it comes down from Forest Drive and before it starts back up towards Trenholm Road. Looking at google maps, it appears that the nearby creek which presumably did the damage is called Orphanage Branch, a name I can't ever recall hearing. 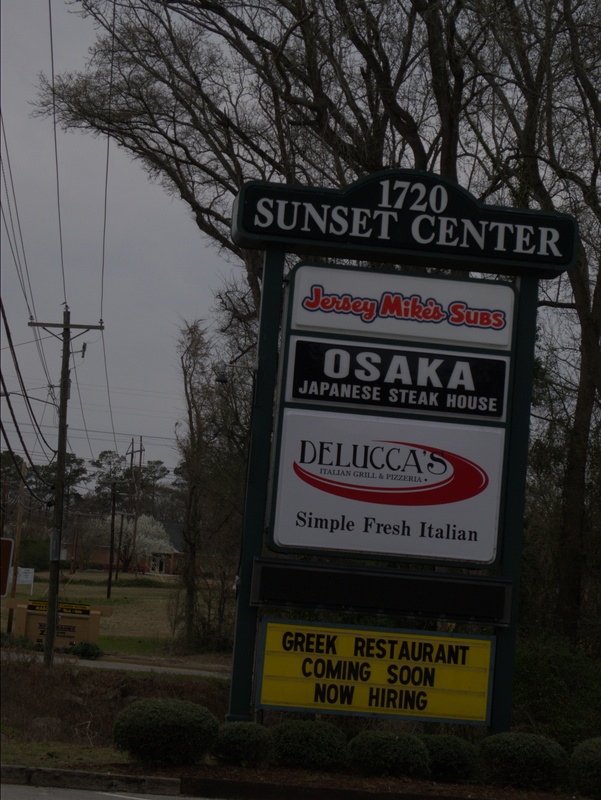 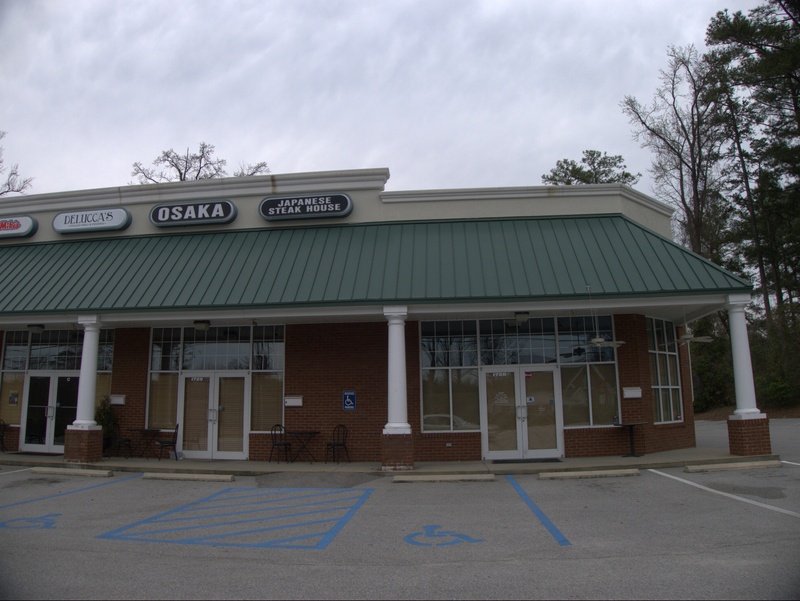 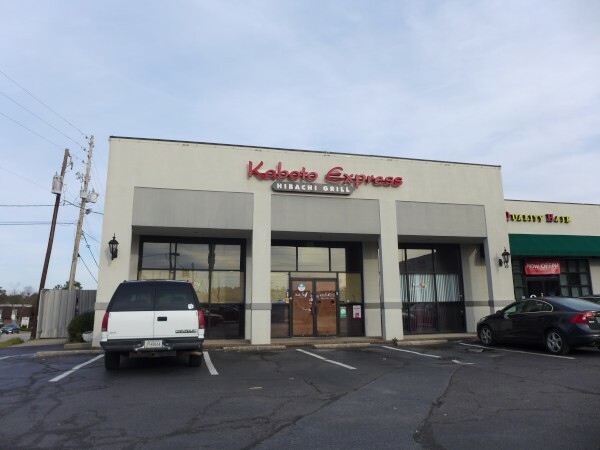 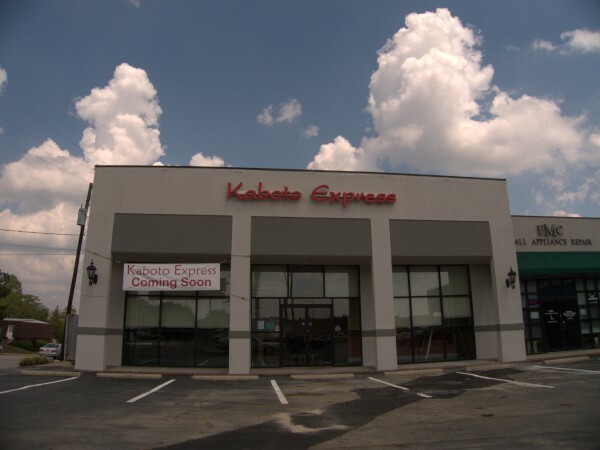 Osaka replaced San Jose Express in Sunset Center near the zoo botanical garden sometime after June 2011, though the space really looks too small for a Japanese Steakhouse. 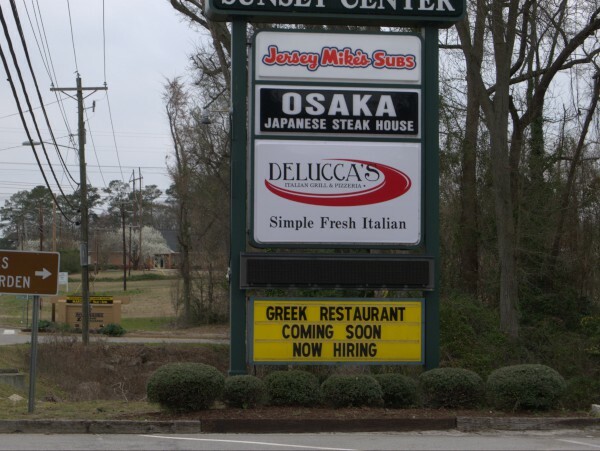 Apparently a Greek restaurant is coming soon, though that puts them rather close to Grecian Gardens. 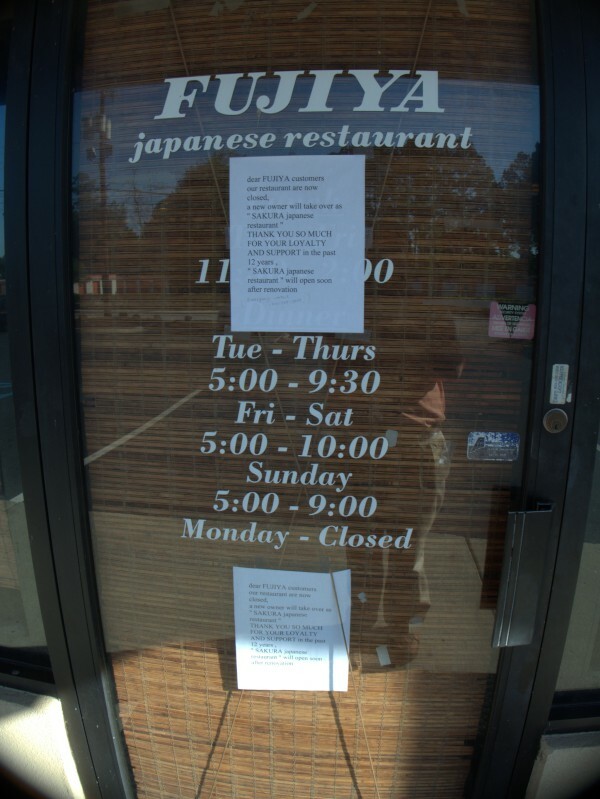 I see from looking back at the San Jose closing that the Italian restaurant has changed over too, from Tony's to Delucca's (and the tasty looking ice-cream cone is gone). Mushi Mushi (can anyone translate that?) 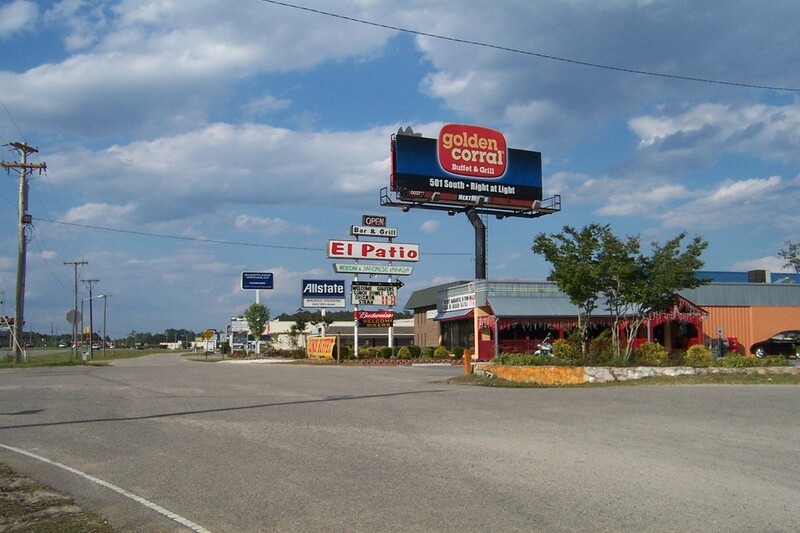 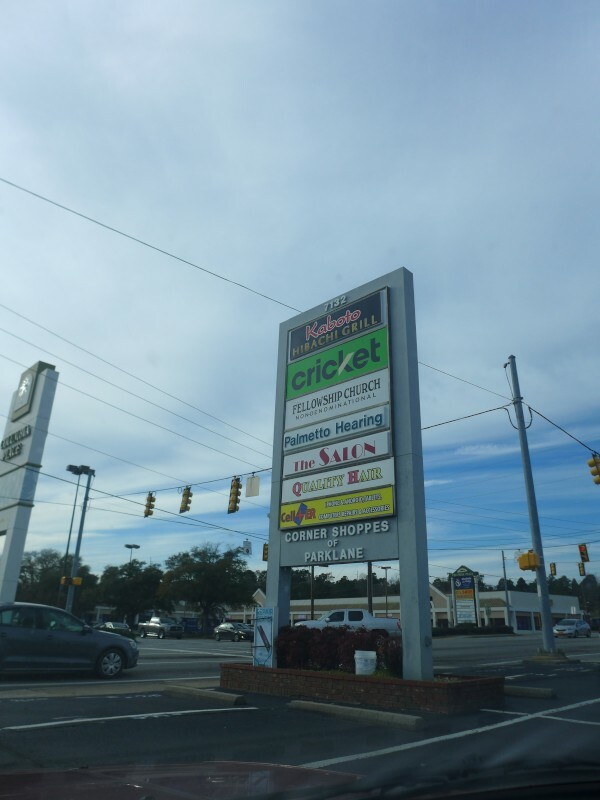 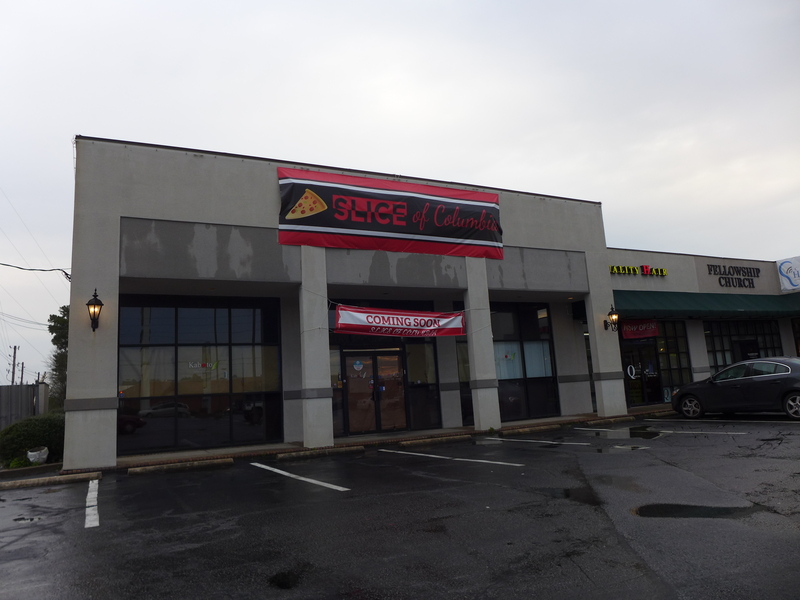 was in the little strip adjacent to the Wal Mart and old Fire Mountain Grill / Ryan's on Garners Ferry Road (and almost next to the old Larry's Subs). There are actually a number of vacancies in this complex, which seems to me to be in a reasonably good location -- there's direct access from Wal Mart and an additional light for side access from Garners Ferry. 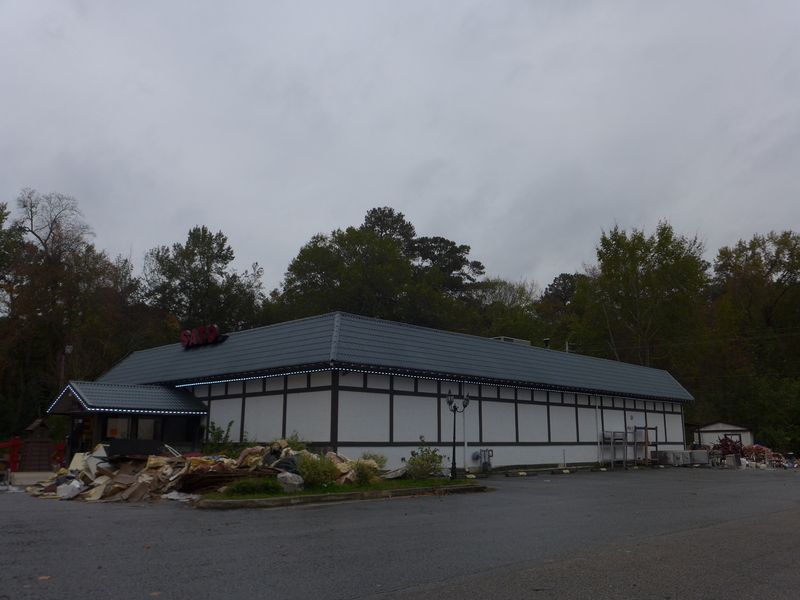 Of course, in this case, the old Ryan's being a Hibichi Grill itself now can't have helped. 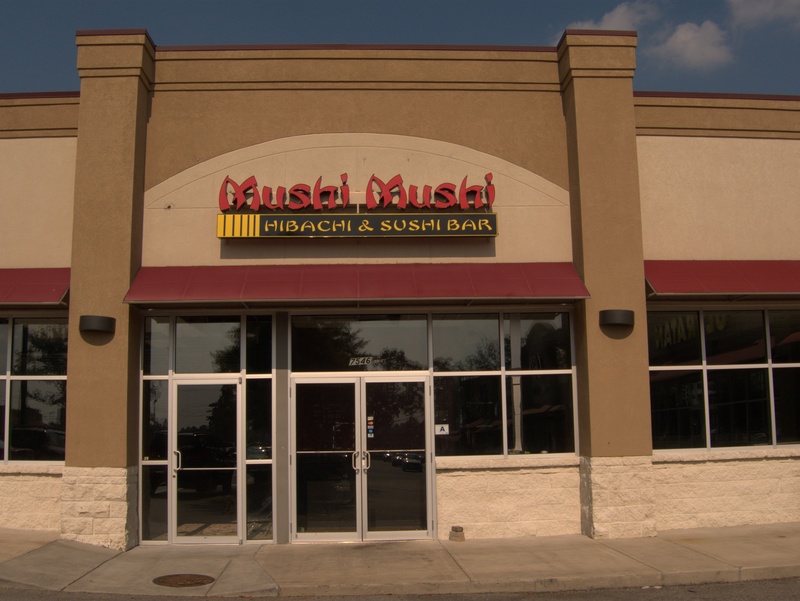 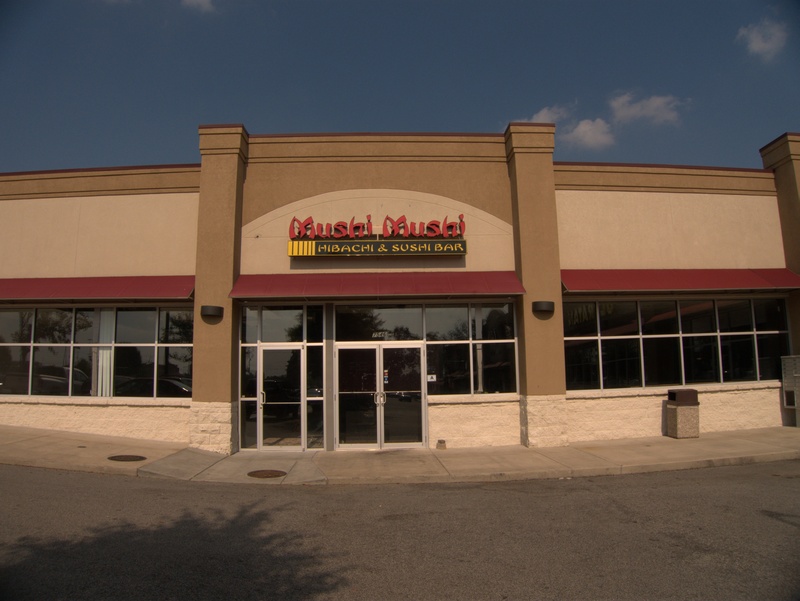 I never ate at Mushi, in fact I don't think I've eaten at any "hibachi" place. I certainly couldn't get my mind around sushi, I'm afraid. Maybe if they had tried this concept I might have stopped by..
UPDATE 25 October 2018: Add tags,update post title format, add map icon. 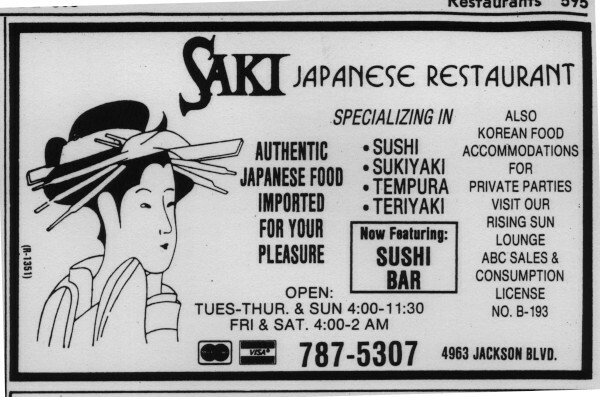 I just thought this one was a little odd. The ad is from the 1985 Bellsouth phonebook. 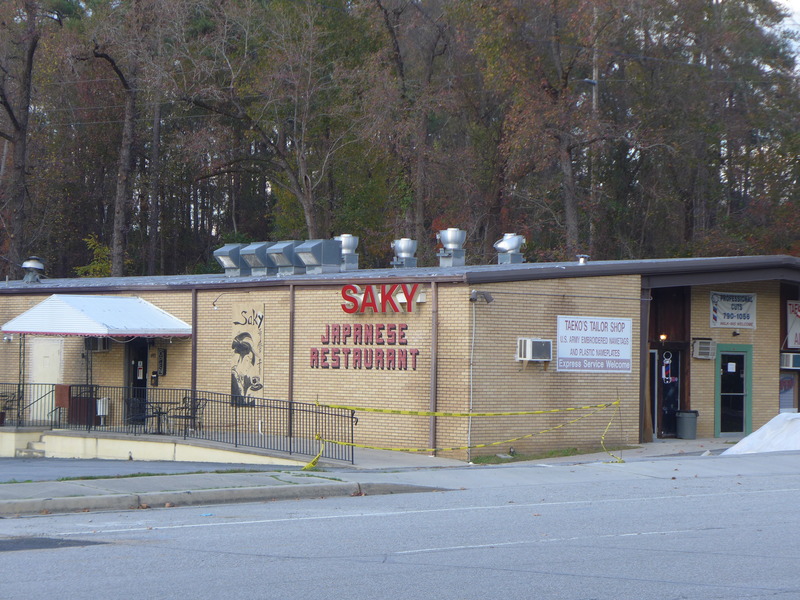 Sometime between then and now, the name of this backgate restaurant at Fort Jackson Boulevard & I-77 was changed from Saki to Saky. 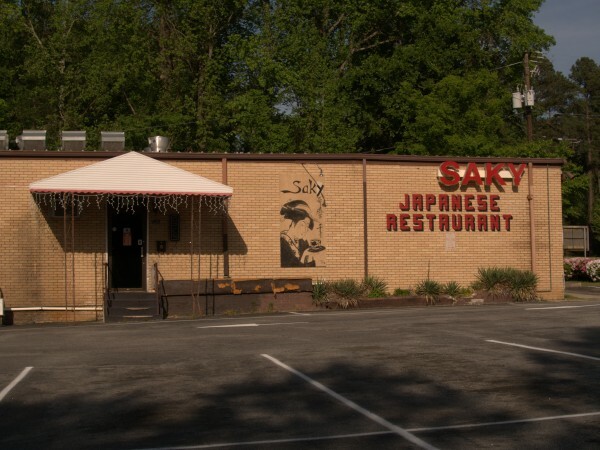 If you look at the photo, you can see how the 'I' was replaced by a 'Y' in the mural (which is very similar, though not identical to the Yellow Pages art). 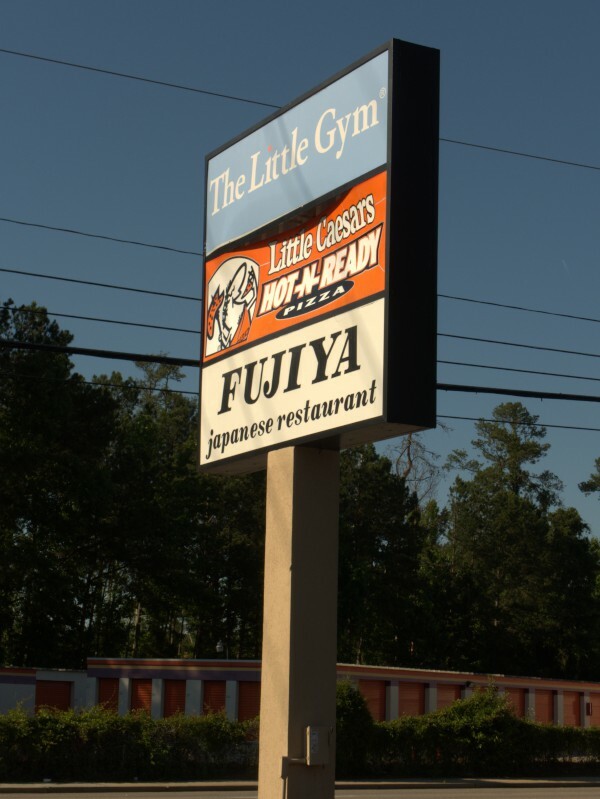 The only reason for something like this that I can think of is that the ownership changed at some point, and the new owner didn't have permission to keep using the same name, but was able to keep something very similar..